Redskins QB Alex Smith, Capitals forward T.J. Oshie, Nationals Max Scherzer, and Redskins safety D.J. Swearinger talk about handling a professional athletic career and being a father. WASHINGTON (WUSA9)--Professional athletes sacrifice a lot of their time practicing and competing in their respective sports. But they also still make time to be a dad. Capitals winger and Stanley Cup champion T.J. Oshie explains how his father, who was diagnosed with Alzheimer's in 2012, made him the father he is today. Redskins quarterback Alex Smith says he wants to sets an example for his kids, and highlights that he has no problem singing along to children songs with his kids in the car. His teammate safety D.J. Swearinger loves to dress up his son. Swearinger is known for his custom and creative outfits. Nationals pitcher Max Scherzer is a 3-time Cy Young Award winner. This award is given to the best pitcher in the league each season. 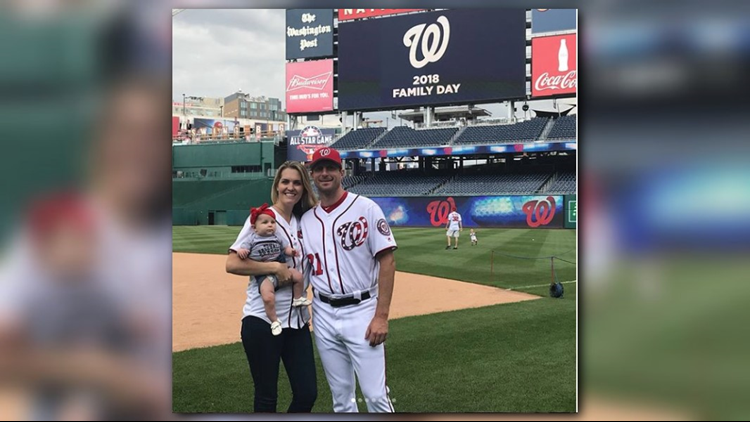 In addition to the Cy Young, Scherzer should also receive an award for daddy of the year. The Nationals play 162 games a season, and the limited sleep he gets has taught him how to be patient.